Where are the defense entrepreneurs? “We have so many engineers, computer graduates, OFWs with technology exposure overseas, etc. . . . so we should be able to make our own weapons!!!”. A weapons manufacturing company is a business. It needs start-up capital and it needs a market that it can satisfy and from which derive profits that sustain the business. Without capitalists and businessmen to get these ventures going . . . the much heralded engineers, computer graduates, etc. won’t have a company to work for and no weapon systems will be produced. Even if a venture were to benefit from government assistance, to succeed there would still be a need for a business savy manager with an eye towards customer satisfaction as well as profitability. One way or another you need to attract business talent to the mix. So when scratching our heads about why SRDP isn’t taking off, you shouldn’t just ask why aren’t our engineers being employed . . .
. . . you really also ought to ask, where are the defense-oriented entrepreneurs? Why aren’t there any entrepreneurs lining up to produce weapons for the AFP despite the billions of pesos lined up for such projects? 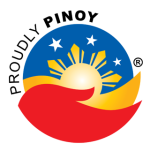 That will require a discussion into government procurement practices, the problems plaguing the Self-Reliant Defense Posture program that are only now being addressed through the partnership between the Government Arsenal and a newly formed Philippine defense industry association, as well as gaps in national policy with regard to domestic production. You’d also have to go into the barriers to setting up any business in the Philippines in the first place. Topics that deserve an article all to themselves. At this point let us simply salute the brave few who dared to risk time . . . and capital . . . to satisfy a customer whose rules and policies remain murky, and who decisions appear . . . randomly reversible. This article was first posted on the Timawa.net forum here.